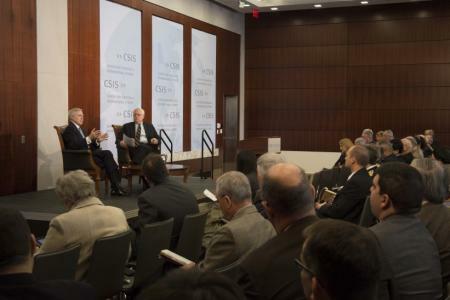 Last Friday the Secretary of the Navy, the Honorable Ray Mabus, participated in the latest Military Strategy Forum discussion organized by the DC-based Center for Strategic and International Studies (CSIS). Ever vigilant, CIMSEC dispatched a fearless one-man delegation to the discussion. Below are some of the highlights of the event with the SECNAV. With a few topics off the table, including the situation in Ukraine and the ongoing fiscal year 2015 budget negotiations, the central theme of the discussion revolved around the Littoral Combat Ship (LCS) and its future. In contrast with the speech made by the Secretary of Defense on 24 February, the SECNAV presented a more optimistic view of the contested vessel design and its prospects. By 2016, four LCS are expected to be on extended deployment. The Secretary further argued that the LCS should continue to be built through the current five-year defense plan, and, once complete, that further decisions should be taken based on the ship’s record, taking in account the costs of replacing it. As the LCS is only now beginning operational tests, there is no reason why the next flight of the LCS should not be modified. The Secretary cited the example of the subsequent flights of the DDG 51 and the Virginia class attack subs, which differ greatly from the original design. However, if modifications ultimately prove inadequate, the LCS will have to be replaced. The second topic of discussion centered on the future of the U.S. Navy’s ‘Rebalance to the Pacific.’ The branch plays a crucial role, as it can brings presence and capabilities to regions in a way that the Army or Air Force cannot without more permanent basing or training agreements. However, according to the SECNAV, in order to ensure presence the Navy needs four elements: People, platforms, power, and partnerships. All are important, but none more so than partnerships. The United States relies on information provided by its partners, and fused from a variety of sources. That requires constant communication, relationships, trust, and familiarity. It is therefore crucial that the United States should reassure its partners in the Asia-Pacific that its rebalancing towards the region is real. To this end, the share of the fleet in the Pacific will increase from 55% to 60% by the end of the decade, and the contingent of Marines in Darwin, Australia, will grow to 1000 over the course of this year. Significantly for those keeping an eye on Washington’s rebalancing to the Pacific, the SECNAV emphasized that their role will not be restricted to training with Australian forces, but will include greater engagement in that part of the world. The third, and perhaps key, point of Friday’s event focused on the future of the U.S. Navy in general, along with the sustainability of its current size and operational capacity. Secretary Mabus is convinced that the Navy’s size will reach 300 ships by the end of the decade, and that once reached the number will be sustainable. He did, however, add that the era of unlimited budgets, common a decade ago, has come to an end. Despite emerging constraints, he believes a combination of measures can cut costs and keep a 300-ship Navy afloat in the long term. This includes relying on mature technology (and crucially, not forcing expensive immature tech on new ships), disciplining requirements to keep them somewhat constant, fixed-price contracts, greater transparency in procurement, and relying on stable and tested designs. Here, the decreasing prices of the Arleigh Burke-class destroyers was cited as an example to emulate; as an increase in bids from two to three ships per year cut unit costs, without sacrificing quality. Other measures include increasing the share of biofuel used by Navy ships, for which the branch is cooperating with the Department of Agriculture and the Department of Energy. Here, the U.S. “fracking revolution” will likely not prove much help, as oil and gas are globally traded commodities. Every time the price of oil increases by a dollar, it ends up costing the Navy and the Marine Corps another 30 million. The Navy hopes that at least half of all fuel used will be biofuel by 2020. Four biofuel companies are set to provide 163 million gallons, priced at 4 dollars a gallon. Although not expanded upon at the event, this initiative forms part of the “Farm to Fleet” program unveiled in December 2013. Although designed to contribute to America’s energy security, provide jobs to rural communities, and ensure a supply of low-cost fuel for the Navy, the program has already proven controversial due to its mounting costs, amounting to hundreds of millions of dollars. Cost-cutting measures will become increasingly important as the size of the fleet increases. A new amphibious group is set to be ready in the Pacific by 2018, providing Marines – not only those in Darwin, but all over the Pacific – with a spectrum of new options, including an improved resupply capability. The event concluded with a few interesting tidbits, including on the need for a national debate on the upcoming – and expensive – Trident nuclear missile modernization; the deployment of laser weapons (coming into use this year); and, the F-35C (the SECNAV sees no problem with it being delayed, as the Navy was always the last in priority and the Initial Operating Capability has not changed). Miha Hribernik is an Asia-Pacific security analyst and researcher, currently working with the Atlas Economic Research Foundation in Washington, DC. He is also an Associate of the European Institute for Asian Studies (EIAS) in Brussels. Miha’s research mainly focuses on the foreign and security policy of Japan, and maritime security in East Asia – with an emphasis on counter-piracy information sharing networks such as ReCAAP. Most of the hard looks questioned whether the (yet-to-be awarded) Air and Missile Defense Radar is the best way forward for the BMD mission and if so, whether the Flight III DDG is the best platform on which to base it. The selection of the Flight III DDG or an alternative needs to be explained to the American people. Thoroughly. It is a grave irresponsibility to not lead a public discourse about the value of sea power in general, and the value and uses of certain platforms over others in particular. More than a joke in need of a punchline: How many MH-60Rs can you fit on a DDG? It follows from this that there must be a coherent policy – means selected to accomplish aims with due respect to timing and costs (“strategy”). This would serve as national security contract underpinning the use of the Navy (and Marine Corps and Coast Guard) for the better of the nation. What do you want from a (probably Aegis-equipped?) ship? FIghting pirates off Somalia or intercepting ICBMs in the Mediterranean? Counter-narco ops in Mexico or deterrence of regional rouge states? This approach is easier said than done, but one needs bold characters and ideas to really make a strategy deserving of its name (as opposed to yet another doctrine, white paper, document, etc. that’s more platitudes than substance). Vague “AirSea Battle” concepts don’t buy public support, and they rarely serve as a 10- or 20-year outlook. 30-year shipbuilding plans, on the other hand, don’t mean much to many people (in fact, as a Hill staffer, I attended a hearing where the value of a three-decade plan was questioned and IMHO misleading arguments were made for a 10- or 20-year shipbuilding plan). U.S. shipbuilding must get its act together, along with a trimmed procurement bureaucracy at the Pentagon and a coherent Congress that sets its priorities straight. This last item might, above all, be the most “wishful” of all my thinking, as politics will always be politics. But consider for a moment the extensive list of design failures, cost-overruns, ideas scuttled at the drawing board, and procurement problems vs. the “successes” of the past 25 years. There’s quite a negative imbalance, from the perspective of an outside observer. Competitiveness must be improved. Perhaps the U.S. needs to finally look abroad for designs that could be adapted for the U.S. Navy. A joint design, perhaps, with a trusted allied partner nation from Asia or Europe? I am under the impression that the current pace of events (and, quite frankly, developments not really in favour of a strong defense budget) might well quickly overtake the discussions that naval specialists lead among themselves, rendering these conversations irrelevant. The end state? Pooling and sharing, leading from behind by default and necessity, without the negative political connotations. The ability to base 2 helos is non-negotiable. 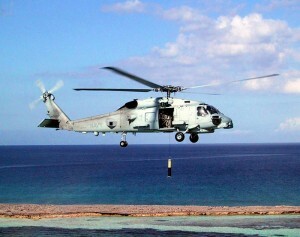 Helos expand a great deal – from situational awareness (SA) to the weapons systems envelope to flexibility; you name it. The capabilities of the MH-60R brings a ridiculous amount of SA to the CO/warfare commander. Rethink the bridge watch team, a la LCS. For the vast majority of the time, there’s no reason why fly-by-wire and autopilots can’t do the work of a bridge team that is probably 200% too big. Keep VLS. Even a 32-cell install is very useful. 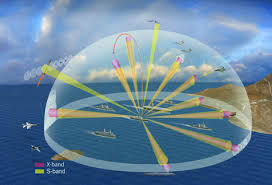 Hybrid power plants that support kinetic and directed energy weapons. GTGs won’t cut it anymore. Incorporate a wide array of UAVs. 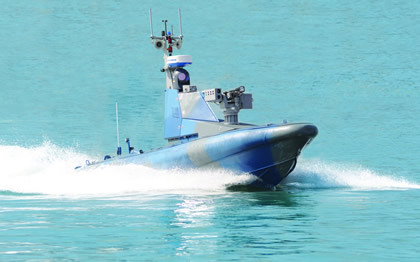 Undersea unmanned vehicles (UUVs) and unmanned surface vehicles (USVs) don’t provide enough bang for the buck – a DDG is very visible, so stealthy insertion of UUVs isn’t going to help, and USVs just don’t have the range/speed necessary to make them competitive with UAVs. I foresee close-in (<10nm), local (10-100nm) and long-range (>100 nm) UAVs as assisting DDGs with their missions. Note: The views expressed above are solely those of the authors and do not necessarily represent those of their governments, militaries, or the Center for International Maritime Security. To intercept a ballistic missile intercept, platforms must be at the right place at the right time to detect, track, and engage. Depending on the capability of the sensors and interceptors, these three locations may not be synonymous—the laws of physics and trigonometry are uncompromising; and, the clock is always ticking. Threats must be properly classified and their ultimate target determined. Flight paths and opportunities for intercept must be calculated. 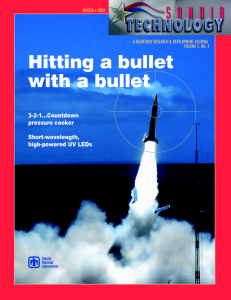 Interceptors must perform flawlessly, and to a degree, so must the adversary’s missile. Any deviation in expected performance throughout the boost, mid-course, and terminal phases that exceeds parameters might be enough to cause a failure to intercept. Raytheon Missile Systems nonchalantly describes this manuever as “hitting a bullet with a bullet,” which still doesn’t quite respect enough the degree of complexity and luck required to conduct integrated air and missile defense (IAMD), the integration of simultaneous anti-air warfare (AAW) and ballistic missile defense (BMD). It does, however, hint at everything that is wrong with our approach to it. 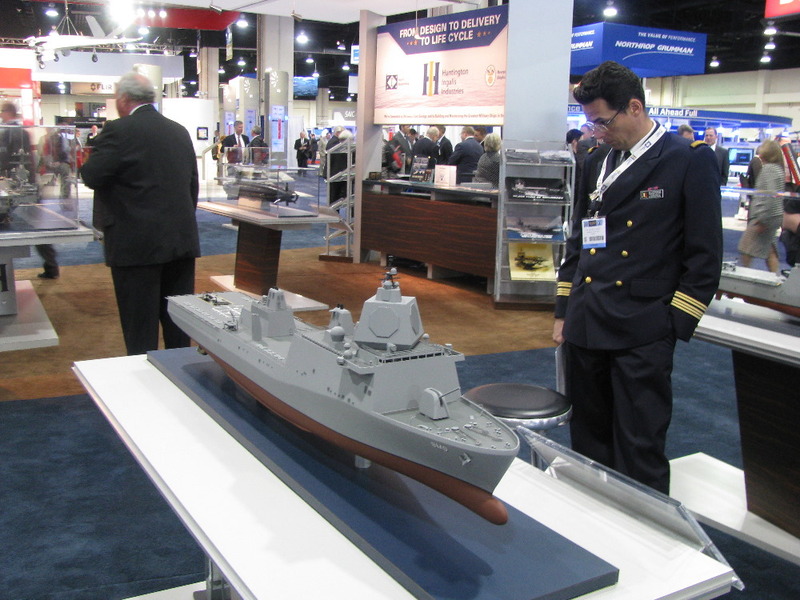 From largely ignoring cheaper ways to attack the enemy kill-chain to Aegis brand myopathy to shifting war-fighting capability requirements to fit fiscal/political constraints, the U.S. Navy is risking the credibility of its large cruiser/destroyer surface combatant force by building its justification on the shifting sands of its BMD requirements. In 2007, the Navy completed its most aggressive, expensive ($35M) and comprehensive Analysis of Alternatives (AoA) to date, the Maritime Air and Missile Defense of Joint Forces (MAMDJF) AoA, also known as the Next-Generation Cruiser/“CG(X)” AoA. The recommendation of the analysis was for either a nuclear-powered cruiser or a conventionally powered cruiser with hybrid-electric drive/integrated propulsion system—both larger than the BB-41 Iowa-class battleships. These were to be capable of generating more wattage than the sum of the entire surface combatant fleet, and were to have radar array faces orders of magnitude larger and more sensitive than legacy SPY radars. The cost per hull was projected at a staggering $9B. Among the alternatives the study looked at, near the rear of the discounted hull forms and behind a DDG-1000 mod, was a DDG-51 derivative. Yet in 2013, the 30-year shipbuilding plan shows 33 of these DDG-51 derivatives, now called Flt III! What changed that has made the alternative (and its 12-14 foot radar arrays) operationally acceptable when only CG(X) (and its 36 foot radar arrays) were acceptable in 2007-2010? 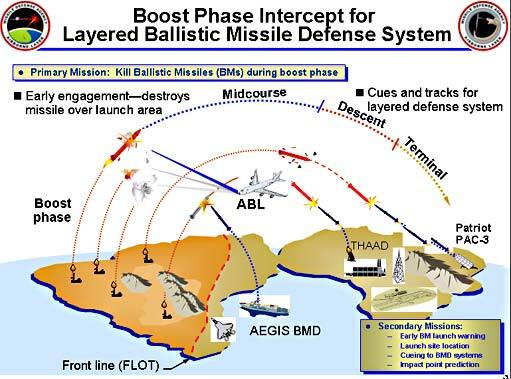 The purpose of BMD is to defend the U.S. homeland, bases, critical infrastructure (including forces afloat), and Allies from ballistic missiles. All three of the defense departments—Army, Air Force, Navy—maintain a BMD capability. The Air Force and the Army have largely invested in developing capabilities to intercept ballistic missiles in terminal flight—their descent from space to final target. The Navy is primarily investing in interception at the boost and mid-course phases, due to Navy’s ability to use the ocean as maneuver space and close the threat, enhancing ballistic missile defense-in-depth while providing the only means of IAMD for the sea base. Intercepting ballistic missiles in boost phase is the most dangerous as it requires the warship to be closest to the enemy. Intercepting in mid- course is the most difficult due to the distance, including the altitude, and window for intercept—taxing both radar and interceptors. In both phases, sufficient radar resources must be devoted to tracking the ballistic missile while still searching for additional ballistic or cruise missiles. For a DDG-51 Flight III without a large radar array, such as the one planned for CG(X), this will be much more challenging. When Greenland launches on Africa, one can’t be too prepared. The Aegis combat system—a proprietary product of Lockheed Martin (LM)—has evolved from a robust anti-surface cruise missile (ASCM) area-defense system to a comprehensive combat system for all mission areas, including BMD. Attempts at forcing competition, open architecture, and migration to an enterprise-shared “Objective Architecture” starting with CG(X) have all ultimately failed as LM successfully lobbied against such efforts. While the merits of each position can be and often are debated, one fact remains: we are utilizing a combat management system that at its root was designed in the 1970s. Likewise, the decision to go with a Flt III of the DDG-51 line ensures that the Arleigh Burke-class (or derivatives thereof), will be in service for over 100 years. The B-52 and M-16 are the only likely other platforms that will be able to claim that dubious honor. How much capability can the Navy continue to squeeze out of a 40-year-old, proprietary combat system (despite its upgrades in hardware and software)? What is the return-on-investment? What changed since 2007 when PEO IWS determined that a new combat system was required for the IAMD mission? Land targets must be defended by hard kill; attacking ballistic missiles with electronic warfare only to cause the missiles to later fall on civilian populations is unacceptable. Can the same thing be said about the sea base? Is there significant heartburn over a seduced, distracted, or diverted ballistic missile falling into unoccupied ocean, killing Flipper? The Navy should look beyond hard kill solutions for a better way to attack the kill chain that does not hazard surface combatants by closing the threat to achieve a boost-phase intercept, but also does not overly tax our radar and interceptor resources (and budgets) for a mid-course intercept. By focusing exclusively on hitting bullets with bullets; by reducing the IAMD requirements to fit the DDG rather than finding a ship that fits the requirements; and, by building its justification for the DDG line on the shifting sands of politically and fiscally constrained BMD requirements the Navy is risking the credibility and health of its surface force. Nicolas di Leonardo is a member of the Expeditionary Warfare Division of the OPNAV staff and a graduate student of the Naval War College. The article represents the author’s views and is not necessarily the position of the Expeditionary Warfare Division, the Naval War College, or the United States Navy. As a civilian observer of naval affairs, I’m forever fascinated by the churn that surrounds every major platform design or acquisition. The nice thing about viewing all this from the cheap seats is a wider perspective – you get to look around just because you’re that much removed from the action on the floor. The downside is a lack of resolving power when it comes to details. Yes, but where does the hot tub module go? From the view up here in the nose-bleed section, I see some tantalizing glimpses. One that caught my eye recently was Huntington Ingall’s proposed LPD Flight II, which had among it’s variants, a very large Ballistic Missile Defense (BMD) platform. Does such a configuration make sense? Based on displacement alone, such an LPD doesn’t appear to be as constrained by hull space or power plant as the proposed Flight III, squeezing everything in. While the LPD Flight II wasn’t pitched as a arsenal ship, that’s a lot of deck space that could be filled with VLS packs or laser arrays. I can only imagine what additional strike capability might be gained should the Long-range Anti-ship Missile (LRASM) come to fruition. Speaking of arsenal ships, the Navy should consider building a ship that can deliver naval gunfire and heavy strike missions. While the Zumwalt is a very expensive technology demonstrator, it will deliver base capabilities that should make it’s way into the next large combatant. It’s Total Ship Computing Environment (TSCE), tumblehome waveform, and the Advanced Gun System (AGS) all bring us one step closer to reaching those strike-mission goals. Whether or not we are facing the same threats for which the DDG-1000 was originally envisioned is another question – nonetheless, the Burke doesn’t have the capacity to fulfill those missions, period. As for missions, Flight III is supposed to do two things well: BMD and Anti-Air Warfare (AAW). This brings us to the other half of the operational dilemma – it can’t do all the other missions the Navy must execute – certainly not well enough to justify putting it into a theater for the purpose of executing those other missions, where smaller or better equipped ships would suffice. The elephant in the room: there HAVE to be alternatives for operational commanders to the DDG-51 because it can’t do everything. It’s a specialist, and in the Navy’s “office”, the “all other duties” falls upon another class. For the forseeable future – that’s Littoral Combat Ship (LCS). But this doesn’t mean Flight III is stuck in a rut. As unmanned aircraft and vessels make greater strides in autonomous performance, DDG-51 in a pinch could conceivably deploy in a limited operational zone, standing off safely while allowing it’s robotic minions to conduct Intelligence, Surveillance, and Reconnaissance (ISR) and other critical functions. And while it doesn’t meet the “payloads not platforms” call to a ‘T’, it does allow the venerable Burke design to remain versatile for the near future. Other considerations: shipbuilding and the secondary/tertiary supply tiers that support the technology behind a modern military vessel are very perishable bases. It is vital to preserve this knowledge and the structure behind it in order to deliver sophisticated ships in the future. The only way to do so is to keep building complex weapons platforms; certainly a self-fulfilling prophecy (or a vicious cycle), but that is the operational reality. In the end, it really doesn’t matter if it’s Flight III or some other combatant, it just has to be built in frequent enough batches to sustain the industrial base. My other gun is a railgun. Finally, all talk of the cruiser-destroyer gap aside, there’s an emotional response to the idea that the U.S. Navy is shrinking. Coupled with the perception that a spanking new surface combatant is unable to adequately show the flag and you a have a situation that’s hard to stomach. And let’s face it – reputation risk is just as important as other operational risks. Carriers may overwhelm by their presence, but cruisers and destroyers deliver the diplomacy of gunboats – elegant and graceful when visiting solo but menacing enough to remind everyone watching about realpolitik. 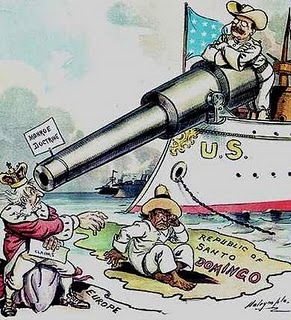 Juramentado is the pseudonym for Armando J. Heredia, a civilian observer of naval affairs. He is an IT Risk and Information Security practitioner, with a background in the defense and financial services industries. The views and opinions expressed in this article are those of the author, and do not necessarily represent the views of, and should not be attributed to, any particular nation’s government or related agency.